The holidays is my favorite time of the year because of all the memories I get to create with my girls. 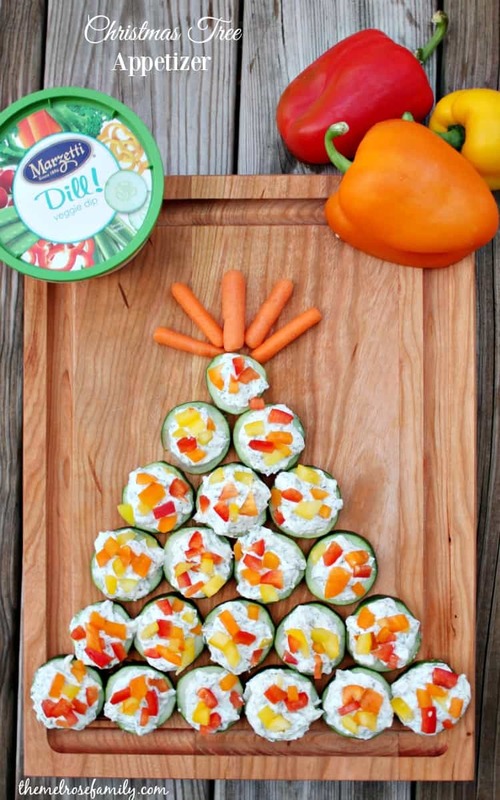 We love creating fun snacks and I often find it difficult to stay on track with getting my veggies in though, which is why I absolutely love this Christmas Tree Appetizer that centers around vegetables and Marzetti® dips. With friends and family in and out of our house during the holiday season, I like to have an easy, yet fun appetizer on hand that comes together in minutes. Marzetti® dips come in so many different flavors that it’s easy to whip up something different every time that compliments your fresh vegetables. Plus, Marzetti’s® Kitchen provides more inspiration. 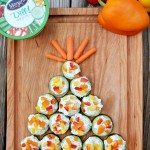 My girls loved seeing this Christmas Tree Appetizer come together. They’ve always loved my Christmas Tree Pinwheels, but these were so simple that they were able to help build them. We started with a cucumber that I cut into 2 inch rounds. 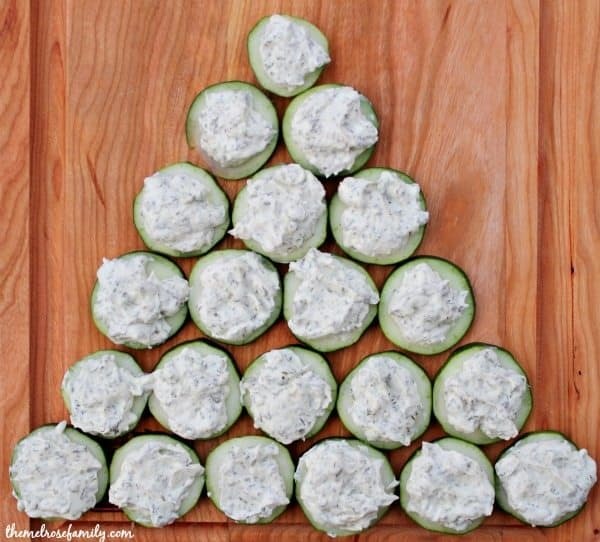 Riley placed a dollop of Marzetti® Dill Dip on each cucumber piece and Avery helped me strategically place them on the cutting board in the shape of a tree. 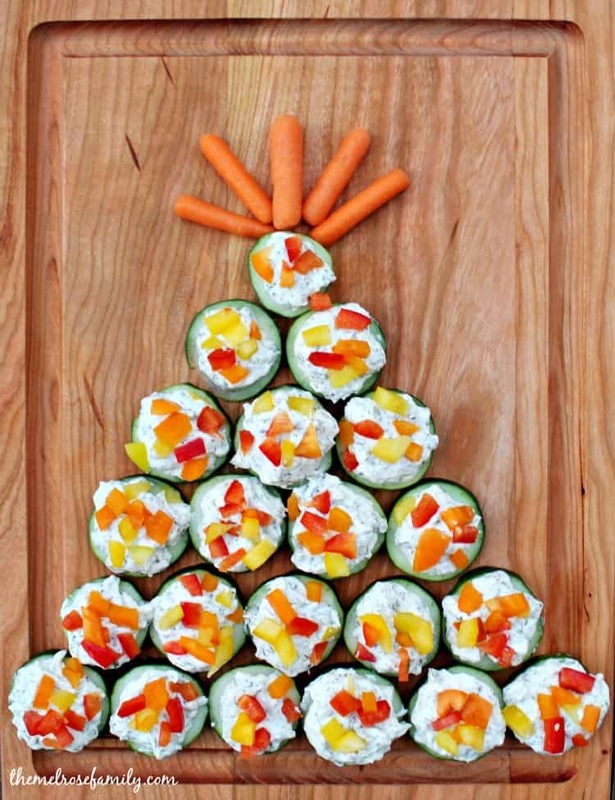 We sprinkled each cucumber piece with diced bell peppers and then topped the tree with baby carrots. So simple, yet so easy! The Dill Veggie Dip complimented the crispness of the bell peppers and the cucumbers served as the perfect serving platter. You can find more inspiration on Facebook. Be entered to win a $50 gift card by commenting on what your favorite Marzetti® Dip is! 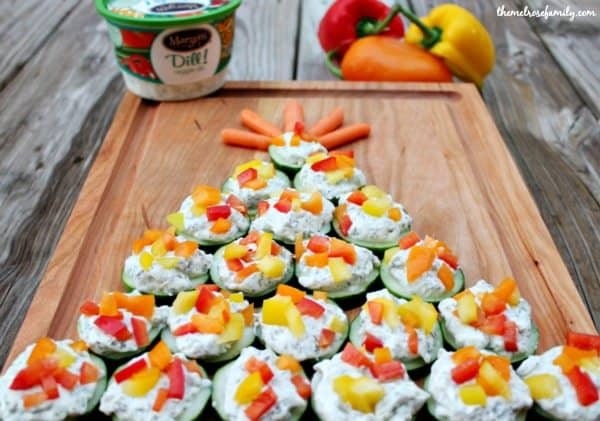 Dollop a tablespoon of Marzetti® Dill Veggie Dip onto each cucumber round and place on a platter in the shape of Christmas tree building from the bottom up. Sprinkle the diced bell peppers onto each cucumber round. Strategically place the 5-6 baby carrots around the top of the tree in the shape of a star. This is a sponsored conversation written by me on behalf of Marzetti® Veggie Dips. The opinions and text are all mine.